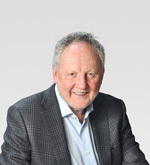 Michael Fullan, Order of Canada, is professor emeritus at the Ontario Institute for Studies in Education, University of Toronto. He served as special adviser in education to Ontario Premier Dalton McGuinty from 2003 to 2013, and now serves as one of four advisers to Premier Kathleen Wynne. Michael has been awarded honorary doctorates from the University of Edinburgh, University of Leicester, Nipissing University, Duquesne University, and The Hong Kong Institute of Education. He consults with governments and school systems in several countries. Fullan has won numerous awards for his more than 30 books, including the 2015 Grawemeyer prize with Andy Hargreaves for Professional Capital. His books include the best sellers Leading in a Culture of Change, The Six Secrets of Change, Change Leader, All Systems Go, Motion Leadership, and The Principal: Three Keys to Maximizing Impact. His latest books are Evaluating and Assessing Tools in the Digital Swamp (with Katelyn Donnelly), Leadership: Key Competencies (with Lyle Kirtman), and Freedom to Change. To learn more, visit his website at www.michaelfullan.ca. Now, Michael Fullan is offering his experience to you in an eStudy opportunity! Visit http://www.corwin.com/learning/estudy/fullan.html for more information.